[one_half last=”no” spacing=”yes” background_color=”” background_image=”” background_repeat=”no-repeat” background_position=”left top” border_size=”0px” border_color=”” border_style=”” padding=”” class=”” id=””] Can smoking affect my ability to have a child? 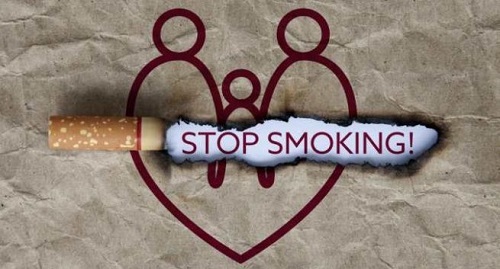 Most people understand that smoking increases the risk for heart, vascular, and lung disease. 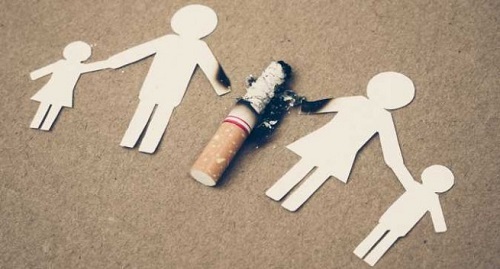 Many do not realize that smoking can also lead to problems with fertility in both men and women. Erectile dysfunction and pregnancy complication rates are also increased with smoking. Chemicals (such as nicotine, cyanide, and carbon monoxide) in cigarette smoke speed up the loss rate of eggs. Unfortunately, once eggs die off, they cannot regenerate or be replaced. This means that menopause occurs 1 to 4 years earlier in women who smoke (compared with non-smokers). Male smokers can suffer decreased sperm quality with lower counts (numbers of sperm) and motility (sperm’s ability to move) and increased numbers of abnormally- shaped sperm. Smoking might also decrease the sperm’s ability to fertilize eggs. Women who smoke do not conceive as efficiently as nonsmokers. Infertility rates in both male and female smokers are about twice the rate of infertility found in nonsmokers. The risk for fertility problems increases with the number of cigarettes smoked daily. Even fertility treatments such as IVF may not be able to fully overcome smoking’s effects on fertility. Female smokers need more ovary-stimulating medications during IVF and still have fewer eggs at retrieval time and have 30% lower pregnancy rates compared with IVF patients who do not smoke. Because smoking damages the genetic material in eggs and sperm, miscarriage and offspring birth-defect rates are higher among patients who smoke. Smokeless tobacco also leads to increased miscarriage rates. Women who smoke are more likely to conceive a chromosomally unhealthy pregnancy (such as a pregnancy affected by Down syndrome)[/one_half][one_half last=”yes” spacing=”yes” background_color=”” background_image=”” background_repeat=”no-repeat” background_position=”left top” border_size=”0px” border_color=”” border_style=”solid” padding=”” class=”” id=””] If an abnormally shaped sperm fertilizes the egg, does that mean that my child will have a higher risk of having genetic abnormalities? Research has not shown a clear relationship between abnormal sperm shape and tobacco, alcohol, or caffeine use, though some studies suggest that smoking can impair fertility. While you are trying for a pregnancy, you should not use tobacco or recreational drugs and you should limit your consumption of alcohol. These substances may hurt sperm DNA (material that carries your genes) quality. Studies have not shown a clear connection between caffeine consumption and changes in sperm shape. Remember that it may take up to 3 months for any changes to your sperm to become noticeable.